At Inter Dyne Systems we understand how time can be of the essence for many lab dealers and end users. Knowing this concern we stock a variety of standard pegboard sizes that can be shipped quickly. 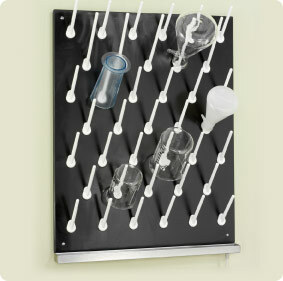 Epoxy pegboards come standard in black, 1” thick material and are available with white or black pegs in a variety of lengths.